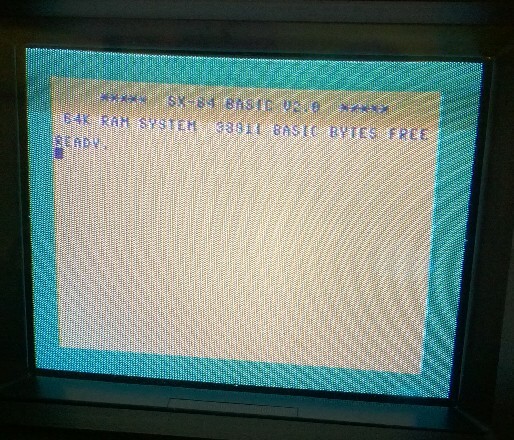 SX64 - Fault "Suspect PLA: Blank screen with dark border"
Makes a change to fix one of these.. 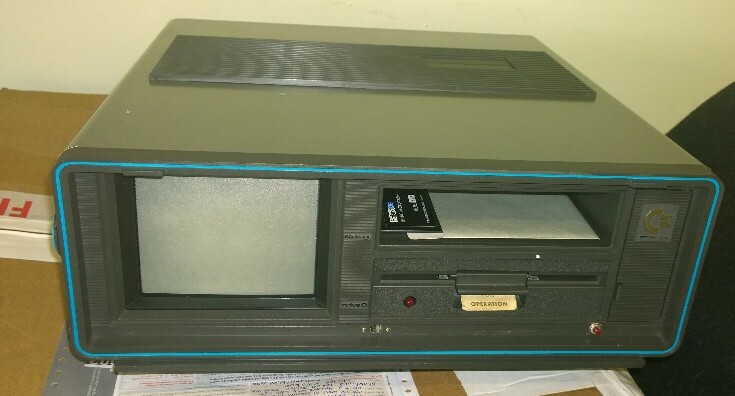 This SX64 was shipped from northen europe and is a 110v model. Lid off before power up.. these things are stuffed full'o'wires. What the hell is this... telephone wire to isolate the monitor? Don't blame me! 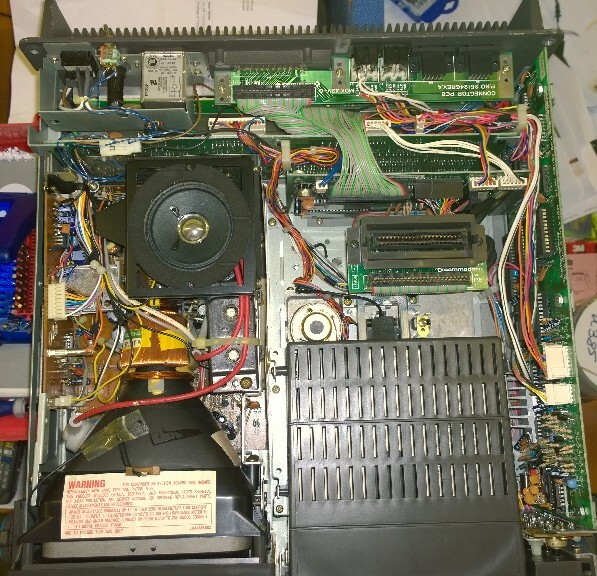 Black screen on power up, time to check out PLA/Kernel/CPU and all that. 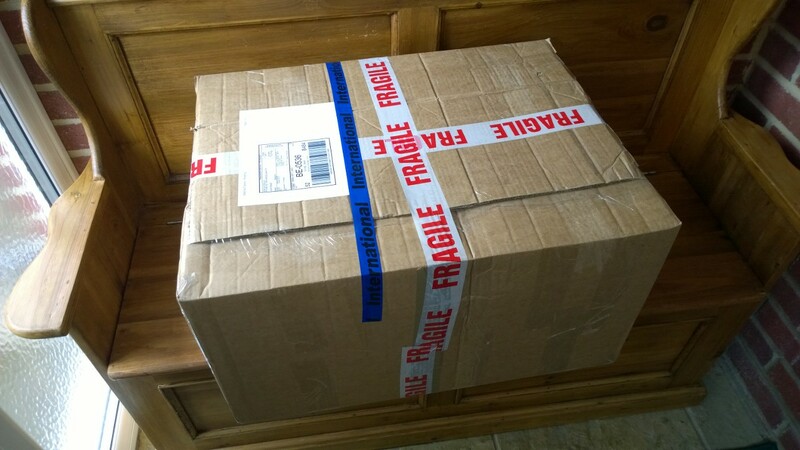 Removing this fella is a sod. I cheated a bit testing this board. 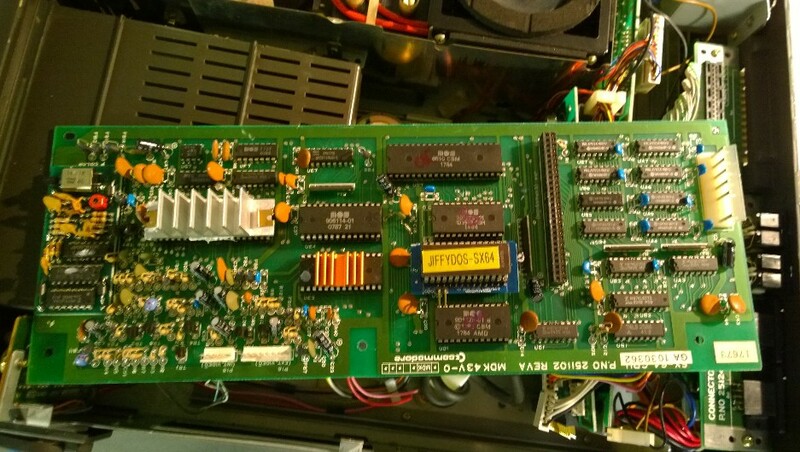 I simply removed the socketed chips and tested them in my test C64 PCB. 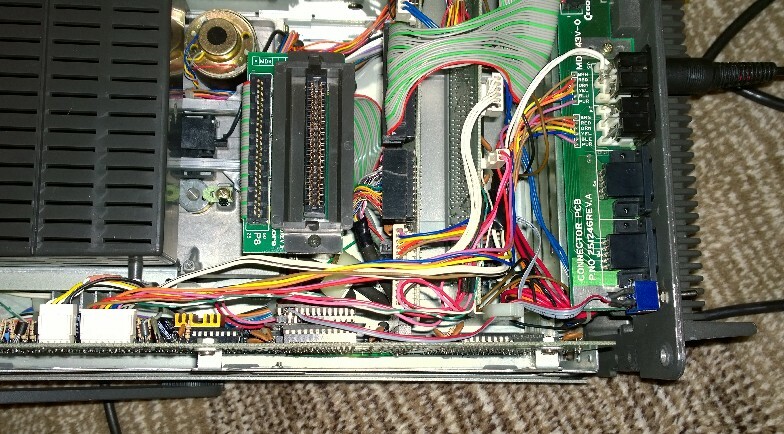 The SX64 kernel is different to the version found in a standard C64, but it will happily work in either machine. 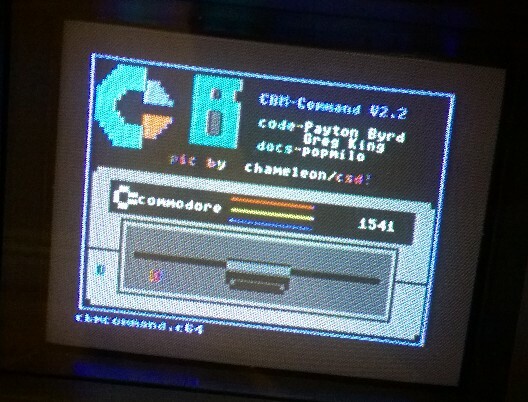 You can even use a standard C64 kernel in the SX64. 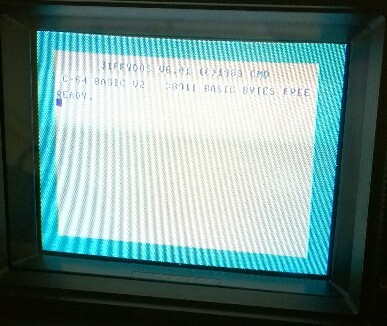 But you'll miss a few SX64 functions like booting from the internal 1541 and the funky colours! 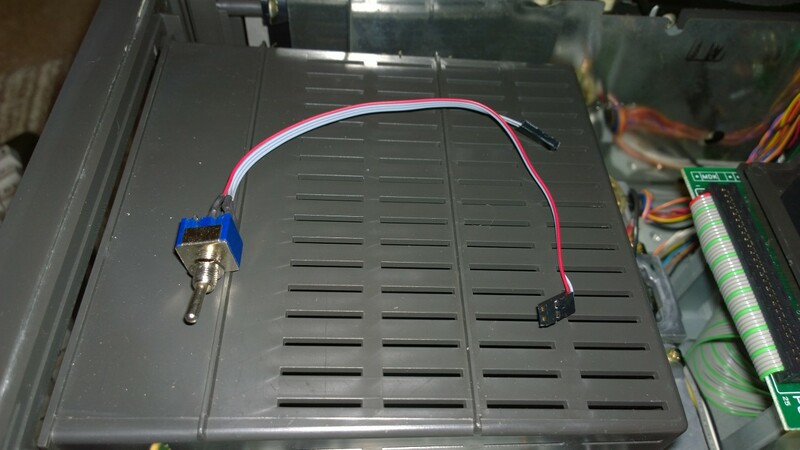 Right, time to squeeze this back in... Heatsink fitted to SID. Tight squeeze, but it's not over yet. 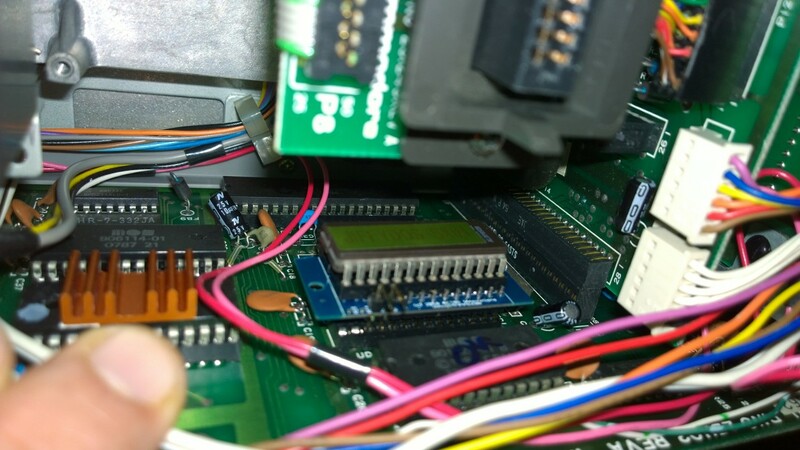 Fitting the Jiffydos kernel will only speed up disk drives with it's own Jiffydos rom installed. 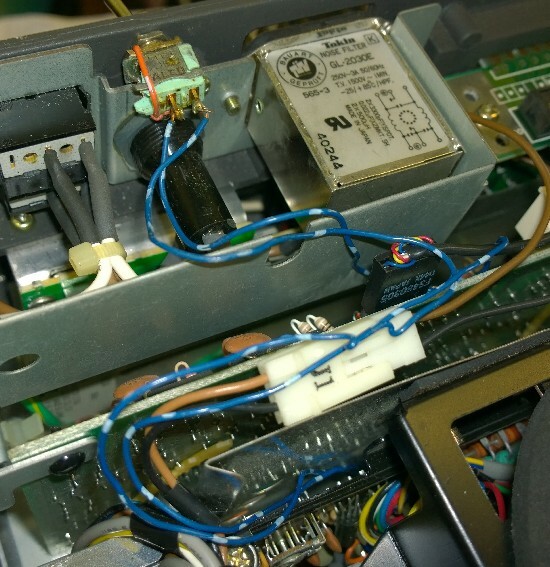 So for an SD2IEC this is fine.. job done, but if I want the internal 1541 to run at full speed it will also need a new rom. Both of these roms need to be switched, so the user can select the standard kernel/rom if requied. Double tail.. it better fit!! 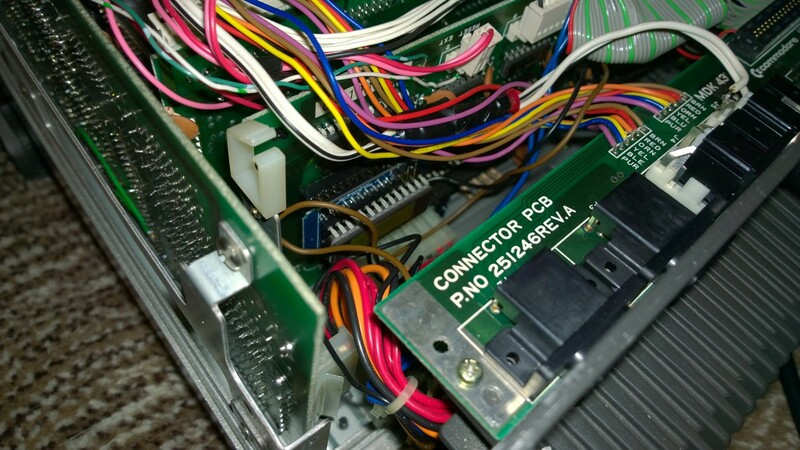 You might have to squint, but you should be able to make out the blue switch installed on the back of the case, with the wire connecting both eproms. 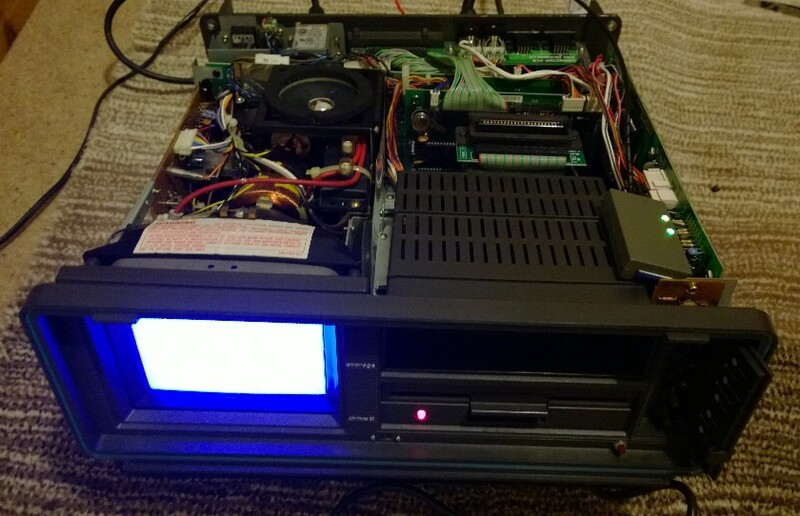 User asked me to create some D64's from original disks for his new SX64-SD2IEC. 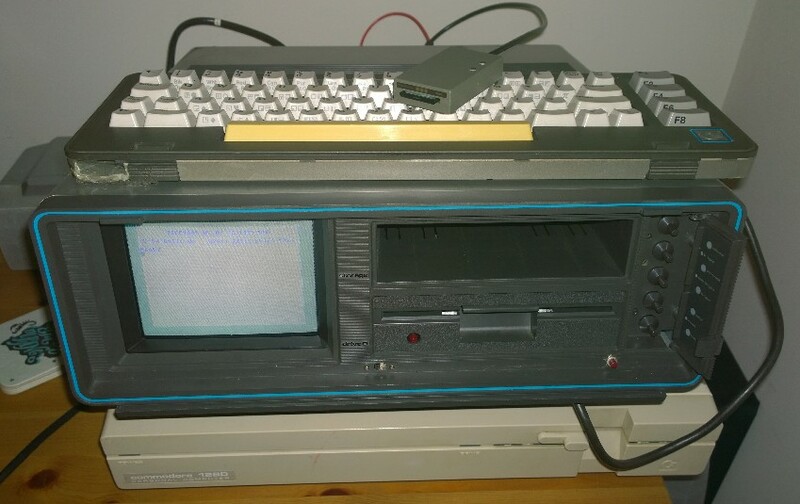 JiffyDos/SD2IEC/CBMCommand makes a great combo.. You can dump a real disk to D64 in seconds. And the perfect test for an install/repair like this.